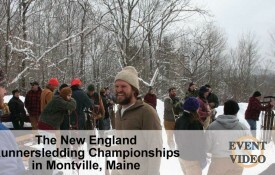 The official 2010 New England Runner Sledding Championship Video. Featuring music from Kelly Ravin, The Travis Lloyd Band and The Class Machine. What’s old is new again! The sport of runner sledding is enjoying a resurgence and the annual New England Runner Sledding Championships is at the heart of the re-growth.